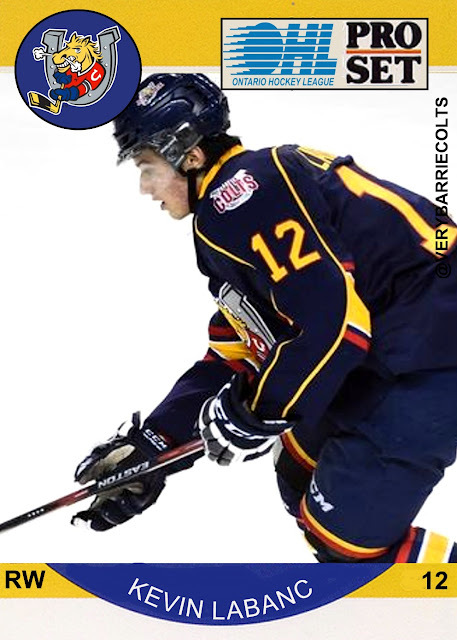 12 days until the Barrie Colts Home Opener! 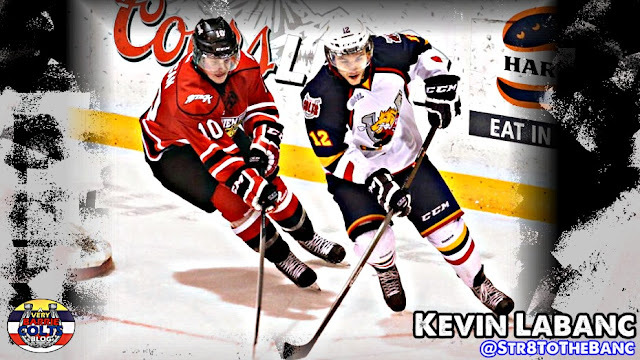 (Kevin Labanc) #OHL - Very Barrie Colts | A website covering the Barrie Colts of the OHL. 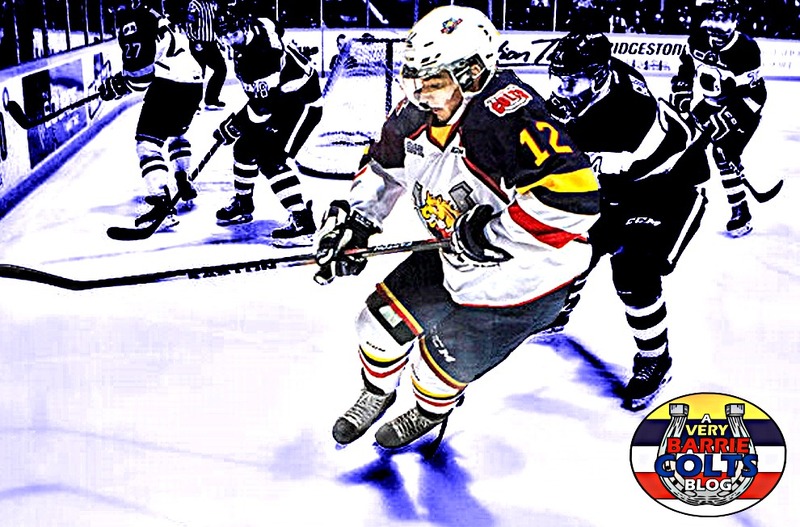 12 days until the start of the Barrie Colts 2017-18 regular season! 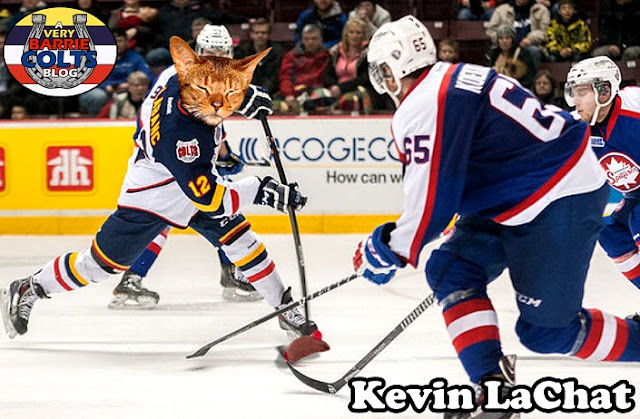 Kevin Labanc wore 12 with the Barrie Colts. 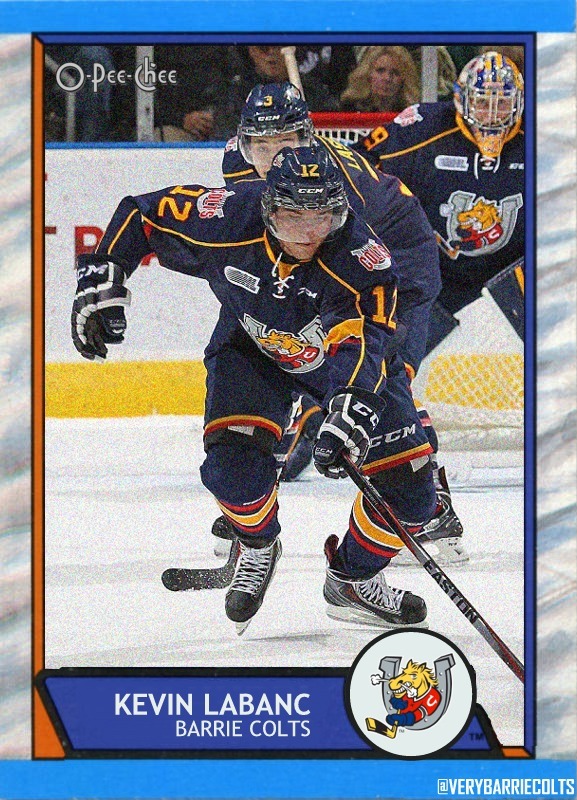 He was selected by the Ponies 103rd overall at the OHL 2011 Priority Selection Draft. The Staten Island native would go on to make his Colts debut in the 2013-14 season after spending time in the USHL. After 65 games played over his rookie campaign, Kevin would score 11 goals and add 24 assists for a total of 35 points. Though 35 points is a solid point total for a rookie, Labanc is nowhere to be found on any rookie record lists, but that is about the only team record list you wont find Labanc's name on. His final two years with Barrie saw him reach the 100 point mark both times. 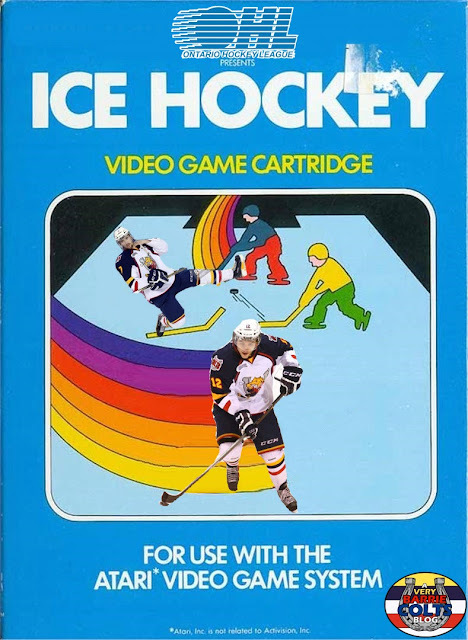 With 107 points in 2014-15 and 127 points in his OA year, Labanc could easily be brought into any conversation about the greatest Barrie Colts players of all time. 2015-16 was his final year with the Colts and he scored 39 goals and 88 assists. His 88 assists beat the teams all time record for assists in a single season. The original record was 76 which was set in the previous season by... Kevin Labanc. 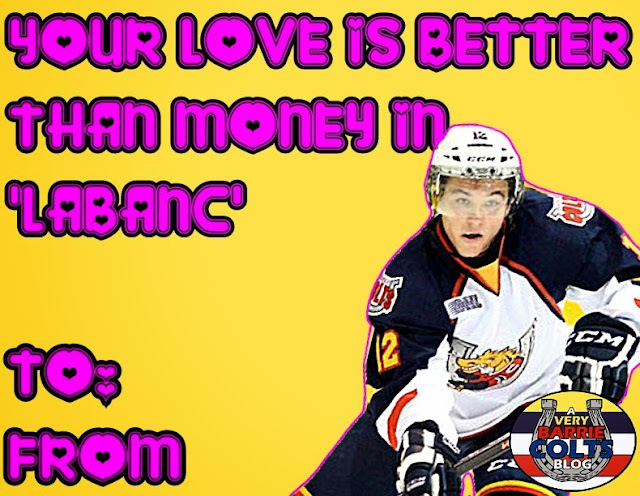 As we mentioned, Labanc for sure is in the conversation for the greatest Barrie Colts player of all time, but earlier this year we made a case for him as the greatest American born Colts of all time. 269 points is 4th most all-time in Barrie and most for an American born player. Here is some of the case we made we made suggesting he could be the greatest. What is most ridiculous about his point totals is he didn’t even play 200 games with the Ponies. In 198 games, he still managed to keep his name with the all time great Colts. Hunter Tremblay has only 5 more points than him all-time but that is over 119 more games. His 188 assists are 3rd most all time for Barrie Colts players, trailing Bryan Little and Daniel Tkaczuk who both only have 1 more than him with 189. Incredible when you consider that Little played in 49 more games and Tkaczuk played 40 more than Labanc. After 3 seasons, Labanc played 189 regular season games, scoring 81 goals and adding 188 assists for a total of 269 points. He also added 39 points in 35 playoff games. After 3 seasons in the OHL here is how he ranks among all time Colts. 2015-16 he scored 127 points - Most in team history over a season. 2014-15 he scored 107 points - 5th most in team history over a season. 2015-16 he got 88 assists - Most in team history over a season. 2014-15 he got 76 assists - 2nd most in team history over a season. 2015-17 he was a +60 - Best plus/minus over a season in team history. 2013-16 he scored 269 points - 4th most in team history. 2013-16 he scored 81 goals - 10th most in team history. 2013-16 he got 188 assists - 3rd most in team history. The 2015-16 season saw him take some hardware home to finish off his OHL career. He would win the Eddie Powers Memorial Trophy (Scoring champion), Jim Mahon Memorial Trophy (Top scoring right winger) and the Leo Lalonde Memorial Trophy (Over Age player of the year). In 2014, Labanc was drafted 171st overall by the San Jose Sharks. Jumping back and forth last season between the Sharks and the Barracuda, Kevin would complete his rookie season playing in 55 games, scoring 8 goals and adding 22 assists. The sharks named him the teams rookie of the year. The Barrie Colts home opener is Thursday, September 21st when the host the Ottawa 67's. Kevin might be one of the most featured players since we have been existence, so we have a LOT of shops of him. Here are some of our favourites.